You, too, can live like a king at these posh destinations, where the standard amenities include private butlers and chauffeured Rolls-Royces. 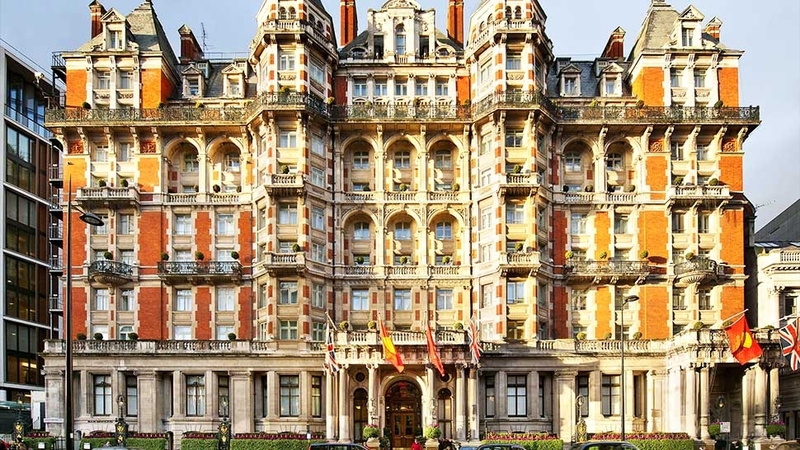 Many of the hotels preferred by the world's royals are located in England—after all, London is a hot spot for HRHs the world over (British or otherwise). However, Commonwealth countries such as India, New Zealand, and Canada are, unsurprisingly, also home to royal favorites, as are glamorous cities like Paris, Gstaad, Zurich, and, of course, New York. Whether you're hoping to spot a Her Serene Highness in the spa or catch a king in the elevator, these are the world's hotels where you're most likely to have a royal experience. 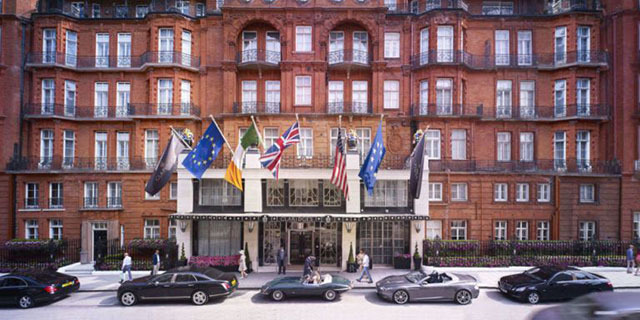 Open since 1856, iconic five-star hotel Claridge's has long been associated with royalty. In the 1860s, Queen Victoria visited to see Empress Eugenie of France in the residence, helping secure the hotel's reputation as a royal favorite. During World War II, the kings of Yugoslavia, Greece, Holland, and Norway lived here in exile, and suite 212 was even reportedly ceded to Yugoslavia on July 17, 1945, so the king's son and heir could be born on Yugoslavian soil. Queen Elizabeth has visited Claridge's numerous times over the years for parties, receptions, and dinners, while other royal guests have included King Hassan of Morocco, the king and queen of Greece, Princess Diana, and the Queen Mother. 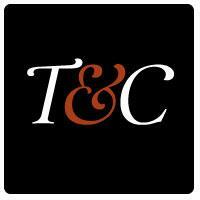 The hotel is also home to London's most famously decadent afternoon tea. 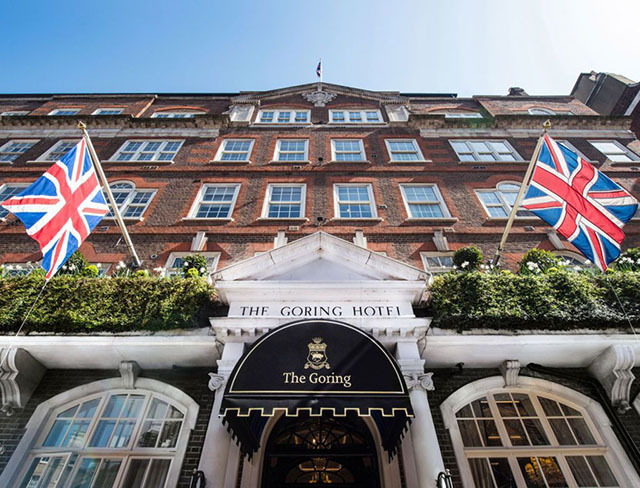 Steps away from Buckingham Palace (it's literally a corner from Her Majesty's back gardens) Goring Hotel opened in 1910 and has been known for years as a favorite of the British royal family. 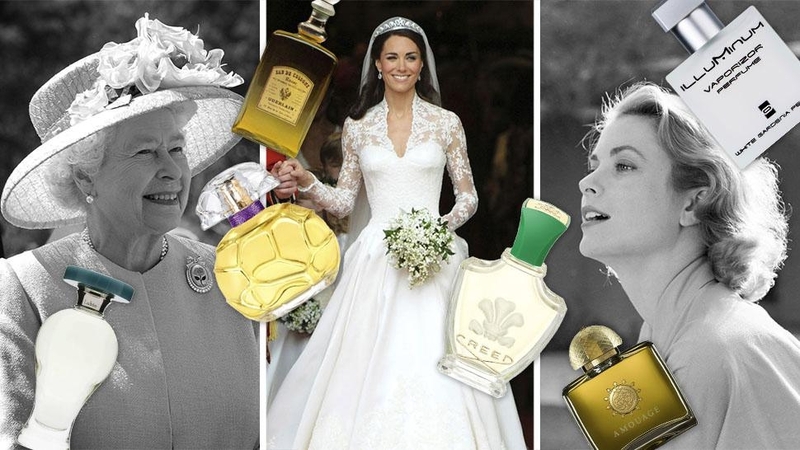 While the Goring is the only hotel lucky enough to hold a royal warrant for hospitality from the queen, it's now most closely associated with the Duchess of Cambridge; Kate Middleton stayed in its Royal Suite with her sister Pippa and her mother Carole the night before her 2011 wedding to Prince William. 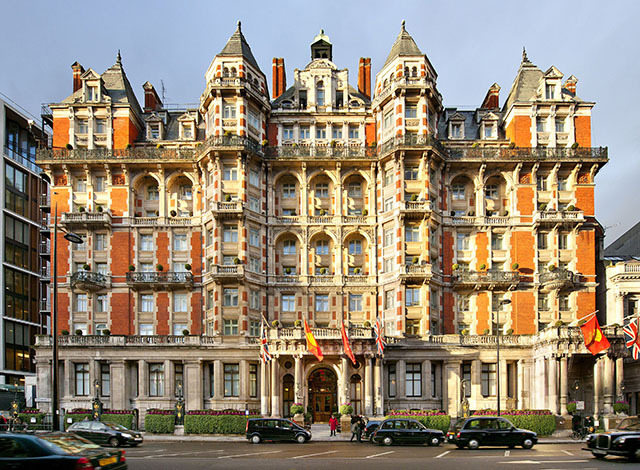 Its other royal connections are equally strong; the hotel's dining room, bar and lounge were all redesigned by Princess Margaret's son David Lindley, while the Queen Mum and Queen Mary were both regulars for lunch and tea. 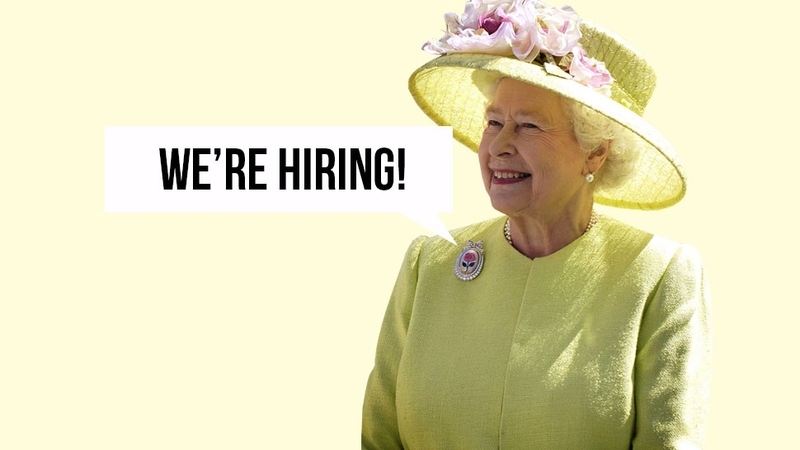 (The Queen Mum was reportedly in love with the Goring's eggs drumkilbo). Overlooking Hyde Park, London's Mandarin Oriental Hyde Park has enjoyed one of the capital's best addresses for more than a century. Repeat royal guests of the hotel have included Queen Mary, Edward VIII, and Princess Alexandra. Queen Elizabeth and Princess Margaret first learned to dance at the hotel, while Prince Philip often held polo and cocktail parties here and frequently brought Princess Anne and Prince Charles for tea. Other highlights: William and Kate's gala dinner honoring special guests and European royalty before their wedding took place here, while Queen Elizabeth and Prince Phillip were guests at Baroness Margaret Thatcher's 80th birthday party. 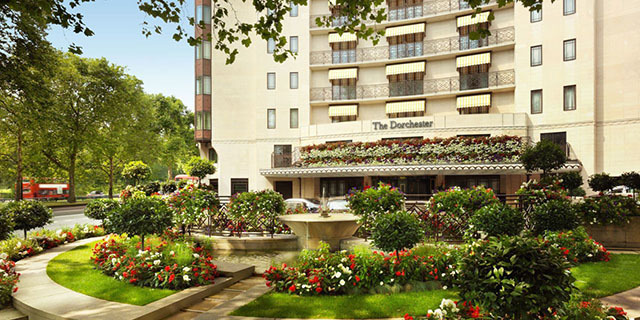 Open since 1931 in Mayfair, London's Dorchester hotel is closely associated with Queen Elizabeth's marriage to Prince Philip in 1947; it's where Queen Elizabeth got dressed for the wedding, and Prince Philip held his bachelor party here. While children, meanwhile, the young Princesses Elizabeth and Margaret used to attend birthday parties at the hotel with their nanny. Other royals who have visited include King Faisal of Saudi Arabia, King Hussein of Jordan, and Princess Diana. 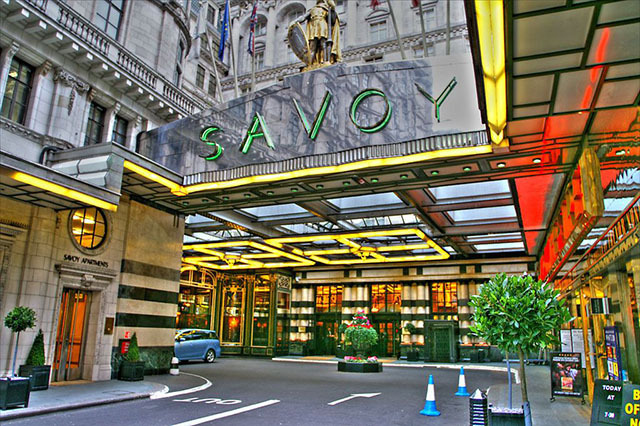 Opened in 1889 off the Strand, the Savoy closed in 2007 for a $340-million renovation of its 268 guestrooms and suites. When it reopened in 2010, Prince Charles himself was present—along with owner Prince Alwaleed bin Talal—for the ceremony. King Edward VI was a frequent visitor (during his time as Prince of Wales), then-Princess Elizabeth and Princess Margaret were regular guests at balls, dinners, and parties, and the Queen Mother stopped by so often that the private side entrance is known as the "Queen Mother's Entrance." Today, the Savoy features a luxurious Royal Suite with 24/7 dedicated butler, VIP airport greeting service, a chauffeured Rolls-Royce, and floor-to-ceiling views of the Thames. Which of the royals hasn't stayed at New York City's Waldorf Astoria? The list is endless, with regulars including Queen Elizabeth, Princess Margaret, the Duke and Duchess of Windsor (who lived in the Royal Suite for years), Princess Grace and Prince Rainier, Princess Caroline and Prince Ernst-August of Hanover, King Hussein and Queen Noor & King Abdullah and Queen Rania of Jordan, Prince Akihito and Princess Michiko of Japan, and King Abdullah of Saudi Arabia. 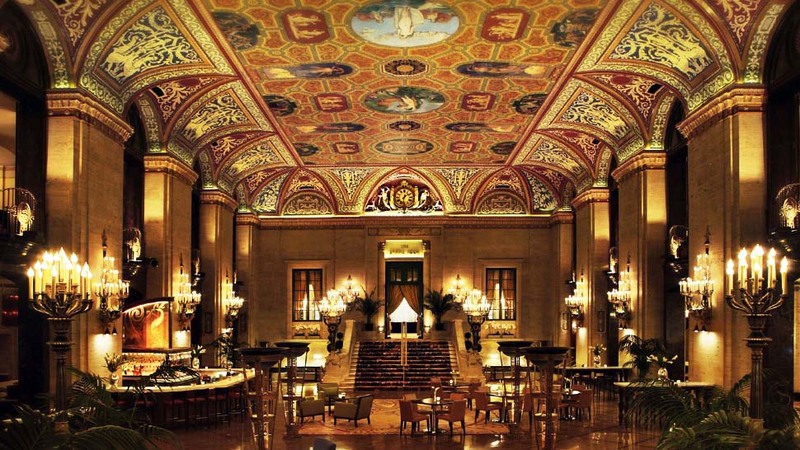 The hotel's Peacock Alley is legendary: both for its decadent champagne brunch on Sunday and its history as the quintessential place to see and be seen in old New York. While visiting New York City in 2014, Prince William and Duchess Kate used the tiny Upper East Side hotel as their base of operations. 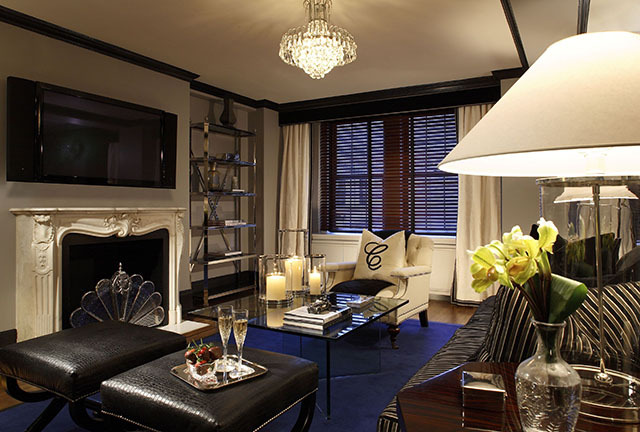 It's no wonder that, of all the five-star hotels in New York, they chose the Carlyle. 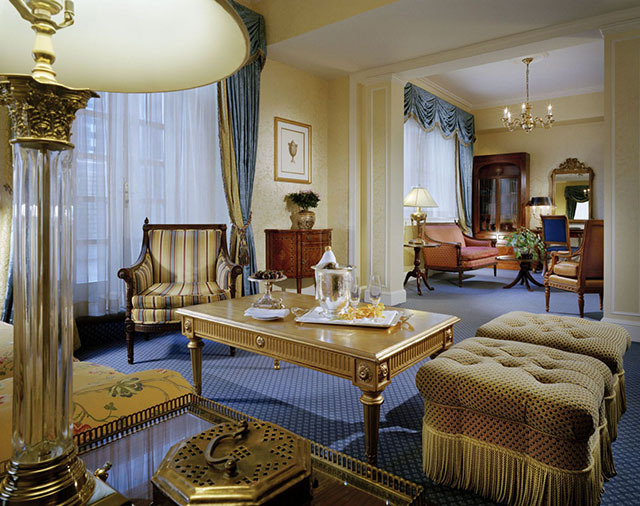 The 190-room property, which overlooks Madison Avenue, was beloved by Prince Charles and Princess Diana and has also welcomed the Kings and Queens of Denmark, Greece, Spain, and Sweden. Hollywood royalty loves the joint, too: George Clooney is a frequent visitor, Woody Allen has a steady Monday night gig playing clarinet at the hotel's Café Carlyle, and anyone who's anyone in New York society has passed through iconic Bemelmans Bar at least once. 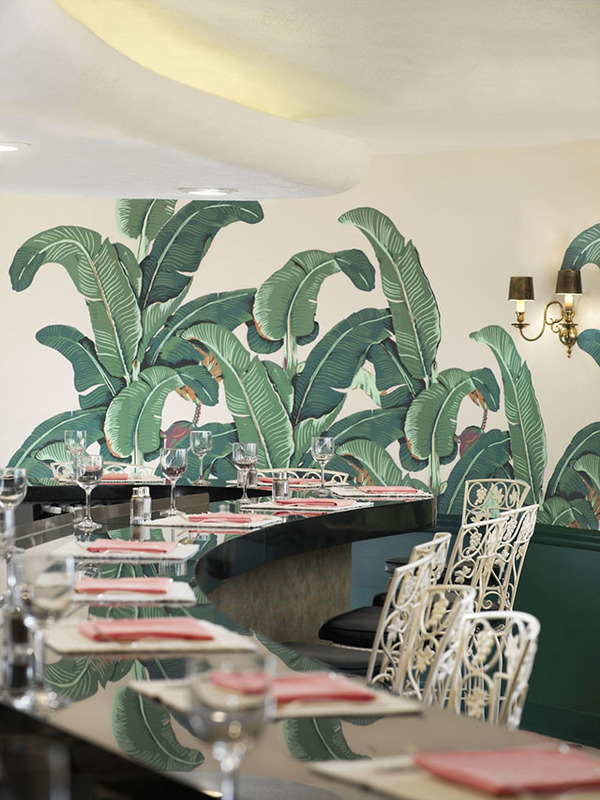 Arguably L.A.'s most refined property, the Hotel Bel-Air is closely associated with Grace Kelly, who used it for her first photo shoot after winning an Oscar, lived there while engaged to Prince Rainier, and visited after her wedding. 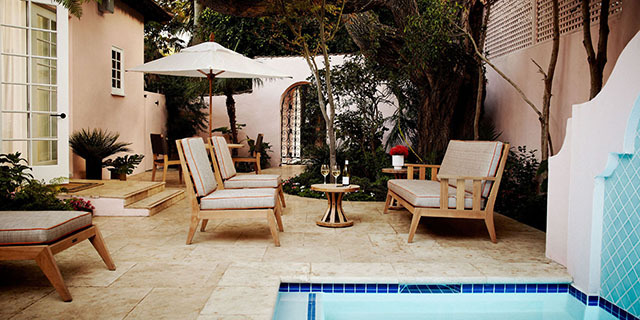 (Today, the hotel boasts a Grace Kelly Suite—the same suite where she conducted her post-Oscar photo shoot—as well as a La Prairie spa, Wolfgang Puck restaurant, and swans aplenty.) Grace's son Prince Albert, the current ruler of Monaco, has also visited with his wife Princess Charlene. During their first joint royal tour of America, Prince William and the Duchess of Cambridge chose to stay at the iconic Beverly Hills Hotel during their stop in Los Angeles. 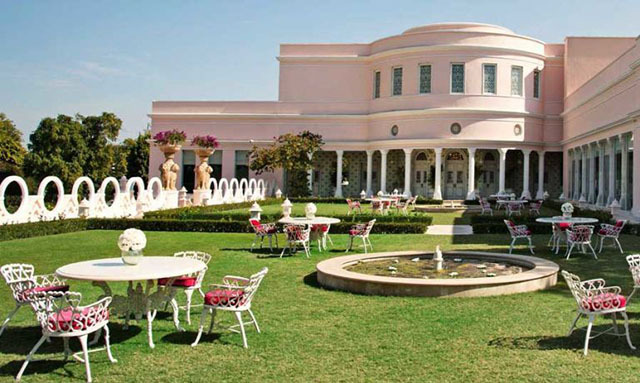 Known as the Pink Palace, the hotel has been welcoming the world's most glamorous since 1912, enchanting guests like Princess Margaret and Lord Snowden, the Duke and Duchess of Windsor, King Albert of Belgium, and Prince Albert of Monaco in its private bungalows tucked among twelve acres of gardens off Sunset Boulevard. A 592-room hotel perched at the top of tony Nob Hill, the Fairmont San Francisco offers a panoramic view of both the City and the Bay and has played host to a slew of royals, including Prince Charles, the Duchess of Cornwall, King Hussein of Jordan, and Crown Prince Haakon and Princess Mette-Merit of Norway. While the hotel is known for serving the city's best Mai Tai at the Tonga Room, its crown jewel is the expansive 6,000-square-foot Penthouse Suite, which spans the entire eighth floor, can host up to 150 for a private reception, and was created in the 1920s by archaeologist and art historian Arthur Upham Pope. 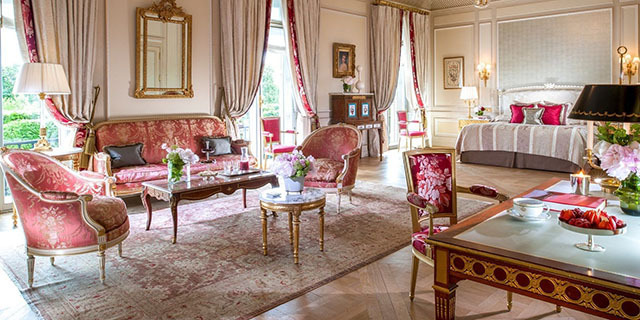 Beloved by royalty such as Prince Albert of Monaco and Prince William, Zurich's palatial Dolder Grand has (since 1899) welcomed guests including Prince Philip, Prince Charles, and Maria Alexandrovna, Duchess of Saxe-Coburg and Gotha. Featuring one of the world's best hotel art collections, the Dolder's masterpieces include works by Warhol, Dali, Murakami, Miró, and even a painting by Sylvester Stallone. For winter holidays, alpine-loving royals have historically flocked to Klosters, Switzerland—the place where Prince William first publicly debuted his relationship with Kate Middleton in 2004, and where Prince Charles makes a yearly ski pilgrimage. Klosters' best hotel is also Charles' favorite: cozy Hotel Walserhof. Many of the British royals have stayed at the unstuffy lodge, including Prince Andrew, the Duchess of York, the Duchess of Cambridge, and Prince Harry. 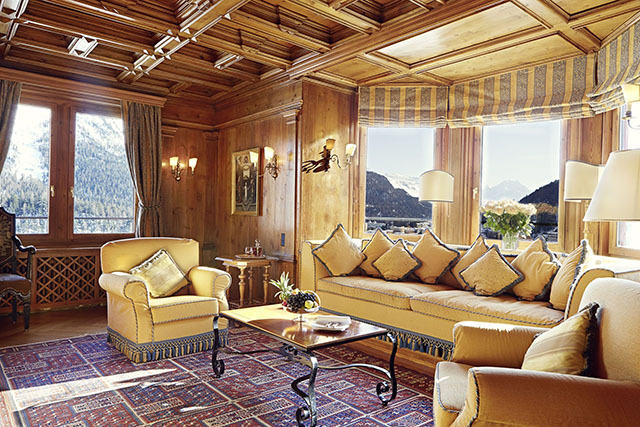 Avid skiers, Swedish royals King Carl XVI Gustav and Queen Silvia of Sweden are loyal to the old school Suvretta House Hotel in St. Moritz, Switzerland. 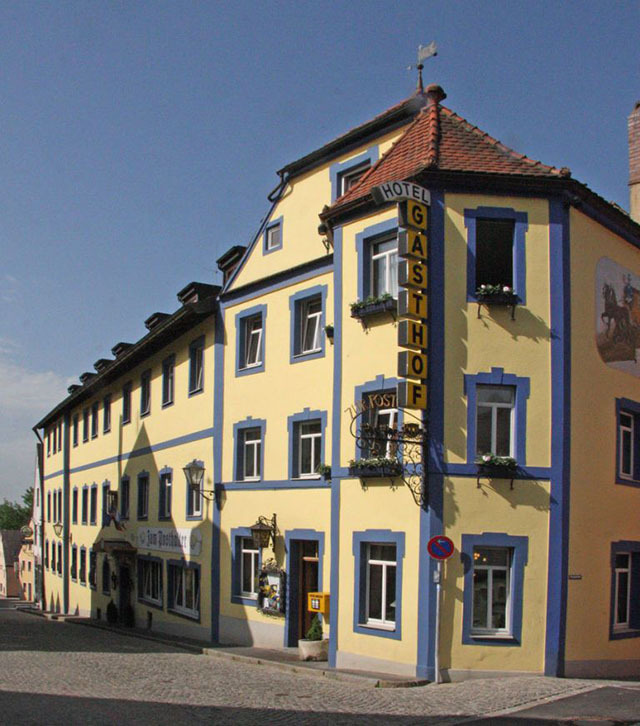 The über-traditional hotel—which has an old-world, fairy-tale appearance, complete with turrets—hosts a daily five o'clock tea, and dark suit and tie are required for men at night. 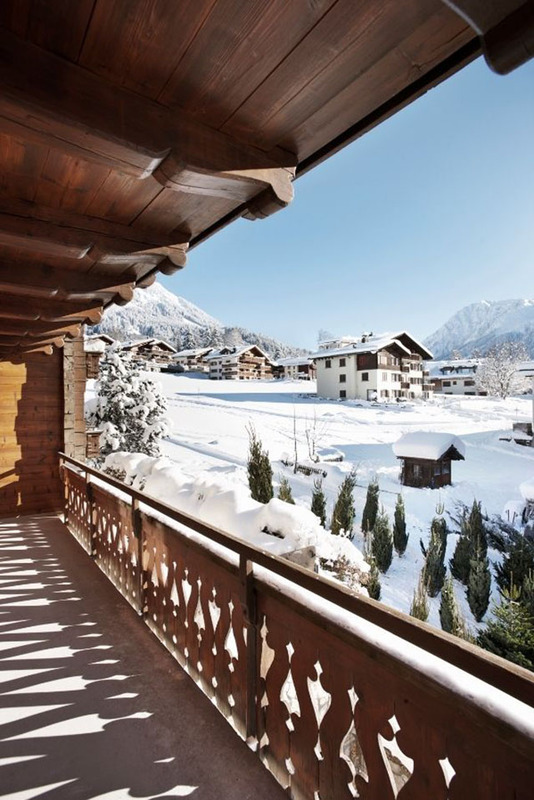 A five-star Relais & Châteaux boutique hotel in Lech, Austria, the Gasthof Post is a favorite ski retreat for royals including King Abdullah and Queen Rania of Jordan, Queen Juliana, Queen Beatrix, and King Willem-Alexander and Queen Maxima of the Netherlands. 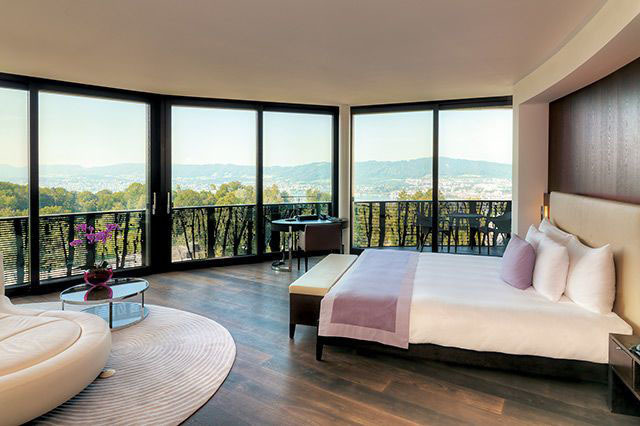 The hotel features a wellness spa, Michelin-starred restaurant, and 48 rooms and suites. 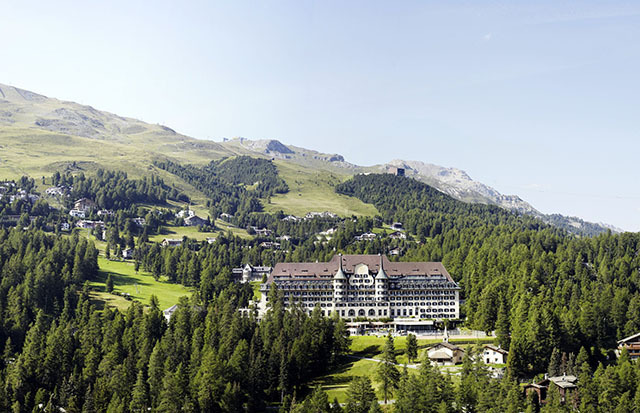 St. Moritz's most iconic hotel, the decadent, ostentatious Badrutt's Palace is always stocked to the rafters with royals. King Willem-Alexander and Queen Maxima of the Netherlands honeymooned here, and other regal regulars include Pierre Casiraghi of Monaco and his wife Beatrice Borromeo, and Prince Edward and the Countess of Wessex. The hotel is home to the most famous nightclub in the Alps, the King's Club, and also has three Rolls-Royces, including a Phantom once owned by Queen Elizabeth. Long one of the world's buzziest cities for the international jet set, Gstaad, Switzerland is home to the Alpine castle-like Gstaad Palace. 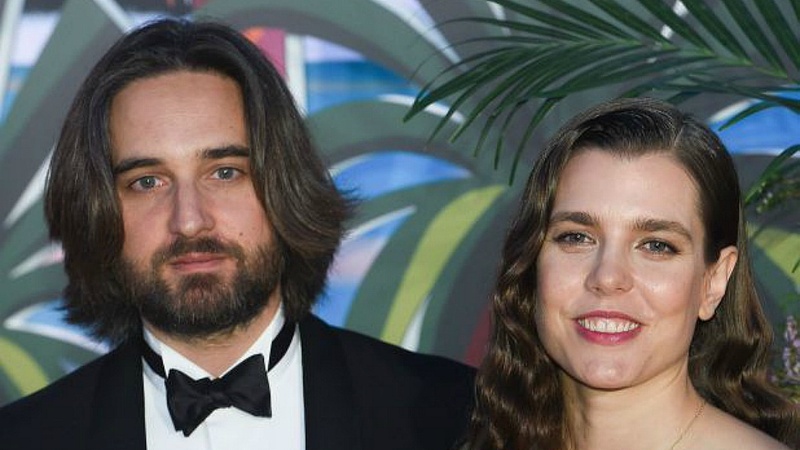 Andrea Casiraghi, son of Princess Caroline of Hanover and grandson of Princess Grace of Monaco, celebrated his wedding here to heiress Tatiana Santo Domingo (who attended local boarding school - the world's most expensive - Le Rosey.) The Monegasque royals have been coming to Gstaad for years, so Prince Rainier, Princess Grace, Princess Stephanie and Prince Albert have all stayed here during their regular ski trips, and other royal guests have included Princess Diana, the Emperor and Empress of Persia, King Bhumipol and Queen Sikrit of Siam, King Hussein of Jordan, Queen Anne-Marie of Greece, Princess Soraya of Iran, and the Aga Khan. 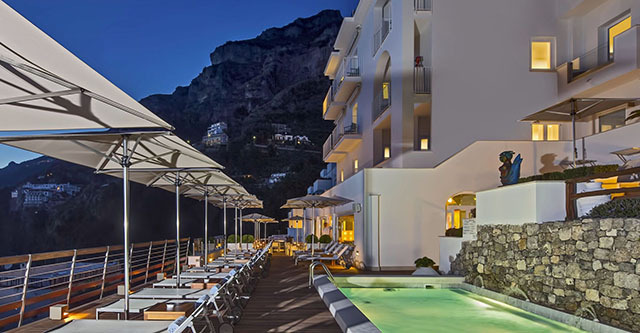 A cliffside hotel in Praiano on Italy's Amalfi Coast, Casa Angelina is a favorite stay of the royal family of Morocco. HRH Princess Lalla Asma (sister of the King) has spent the night in a suite designed by Philippe Stark, loving the white-on-white decor so much that she reportedly reproduced it at her own home. The minimalist hotel features private beaches, rooms carved into the cliffs, and access to a private boat. 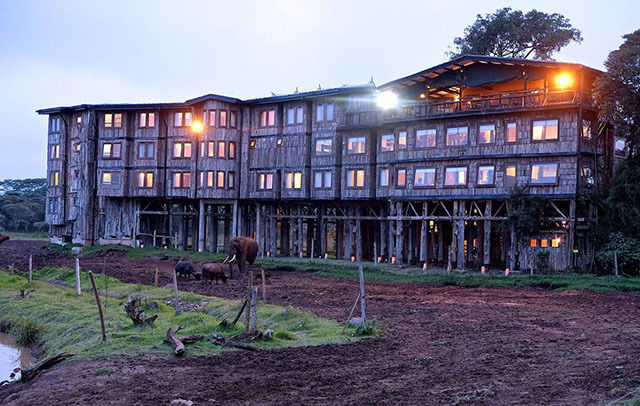 Kenya's Treetops Lodge—et beside a waterhole in Aberdare National Park—is most famous as the place where Elizabeth Mountbatten-Windsor arrived as a princess and left as a queen. 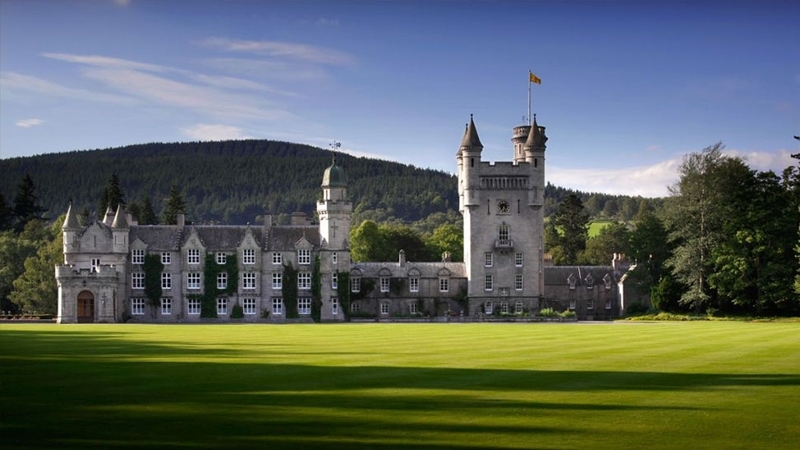 (She was staying here with Prince Philip and Lady Pamela Mountbatten in 1952 when her father King George VII died.) The hotel burned down a few years later but was rebuilt, and Her Majesty returned for an undoubtedly emotional visit in 1983. Other royal and notable visitors have included Lord Louis Mountbatten, Charlie Chaplin, Joan Crawford, and Paul McCartney. 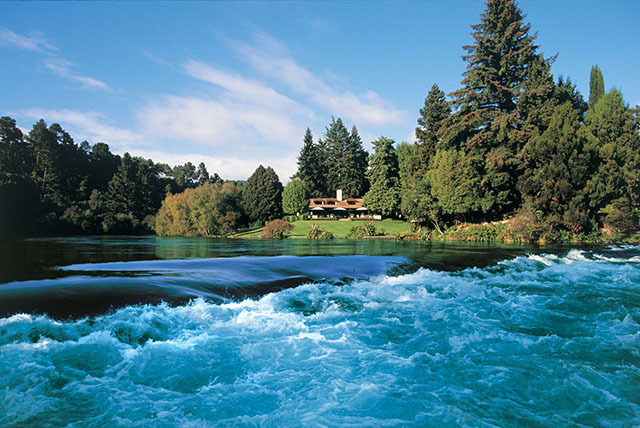 Consistently named one of the world's best luxury retreats, Huka Lodge features 25 suites spread out over 17 acres on the banks of New Zealand's Waikato River. With a garden rated as "of National Significance," the magnificent property has played host to both Queen Elizabeth and the Queen Mother. 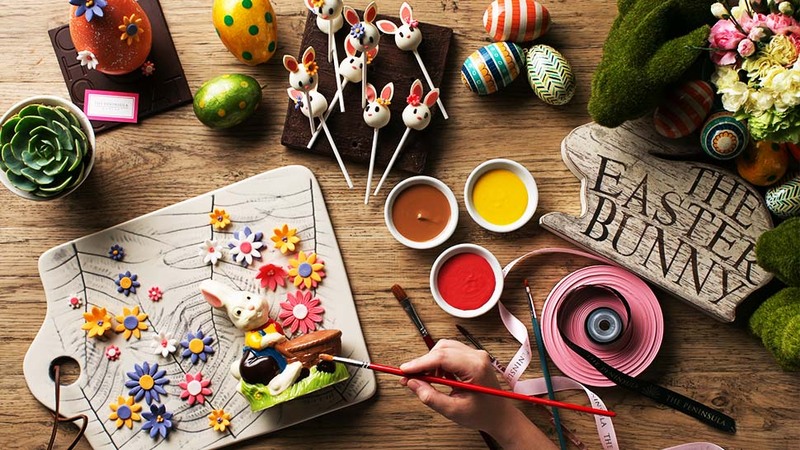 The Owner's Cottage, the hotel's premier accommodation, contains works by well-known Kiwi artists, antique furniture, under-floor heating, and a heated spa pool. 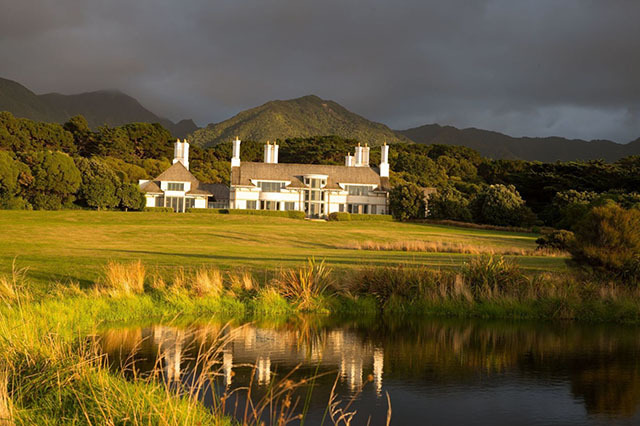 Prince William, the Duchess of Cambridge, and an eight-month-old Prince George stayed at Relais & Chateaux property Wharekauhau during their far-flung royal tour of New Zealand in 2014. 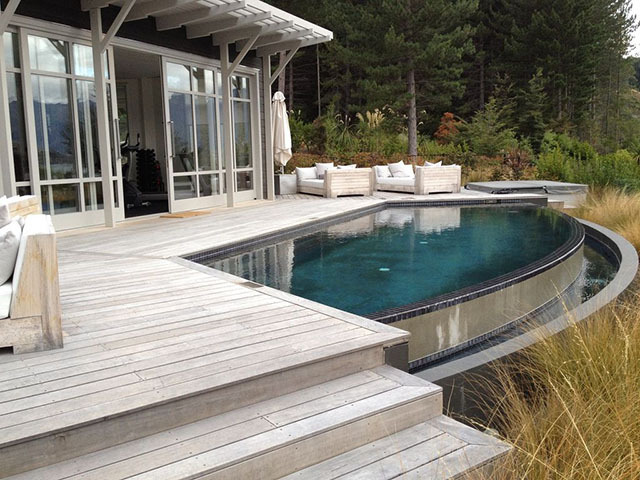 The private five-star lodge, which is located in remote Palliser Bay on New Zealand's North Island and began life in the 1840s as a sheep farm, features cottage suites with heated marble floors, fireplaces, homemade cookies, and indigenous natural materials for an authentic Kiwi flair. The hotel's food is sourced from the gardens, and the rustic main lodge, croquet lawn, and pétanque field harken to Edwardian times gone by. One of the most sought-after stays in Queenstown, a city chockablock with luxury lodges, tiny Matakauri Lodge played host to Prince William and the Duchess of Cambridge (a rare night away without Prince George) during their New Zealand royal tour. The Relais & Chateaux hotel, which features only 12 suites and the Owner's Cottage where William and Kate stayed, offers sweeping views of Lake Wakatipu plus posh experiences like wine tasting in nearby Central Otago or a helicopter excursion to stunning Milford Sound. Montreal's legendary Queen Elizabeth shares more than just a name with Her Majesty: it also has a storied history and a reputation for elegance. Headquarters for the 1976 Olympics and Montreal's Expo 67, the hotel has hosted Queen Elizabeth II four times, as well as the Duke of Edinburgh, Prince Charles, the Queen Mother, and Princess Grace of Monaco. 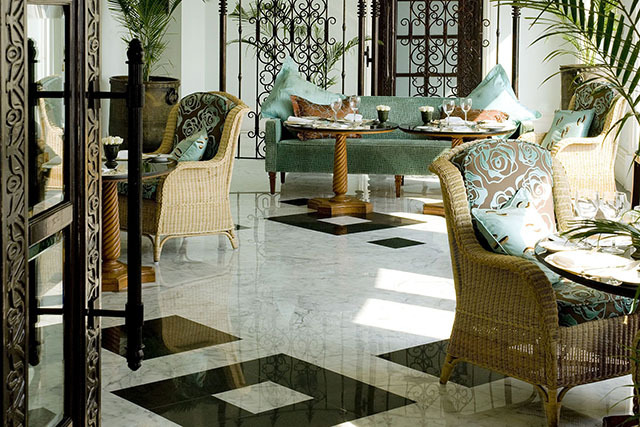 Mumbai's luxurious Taj Mahal Palace claims the mantra "the guest is God." As a result, the hotel is known as a place where no request is too big, particularly for royal visitors such as Prince William and the Duchess of Cambridge, who stayed here in 2016 on their royal tour of India. Guests enjoy their own butlers, and other royal residents have included Edward, the Prince of Wales (later King Edward VII), the Duke of Edinburgh, the King and Queen of Norway, and King George V and Queen Mary. The so-called Pink City of Jaipur, India is full of palaces and boasts a rich royal history. Many of the former palaces are now hotels, but Sujan Rajmahal—built in 1729 as a retreat for Maharaja Sawai Jai Singh II's wife—has a particular regal charm. (It's also the only hotel in town where the royal standard of the House of Amber still flies.) Queen Elizabeth, Prince Philip, Princess Diana, and Prince Charles have stayed here, and in 1958, Maharaja Sawai Man Singh II decided to use it as his private residence. 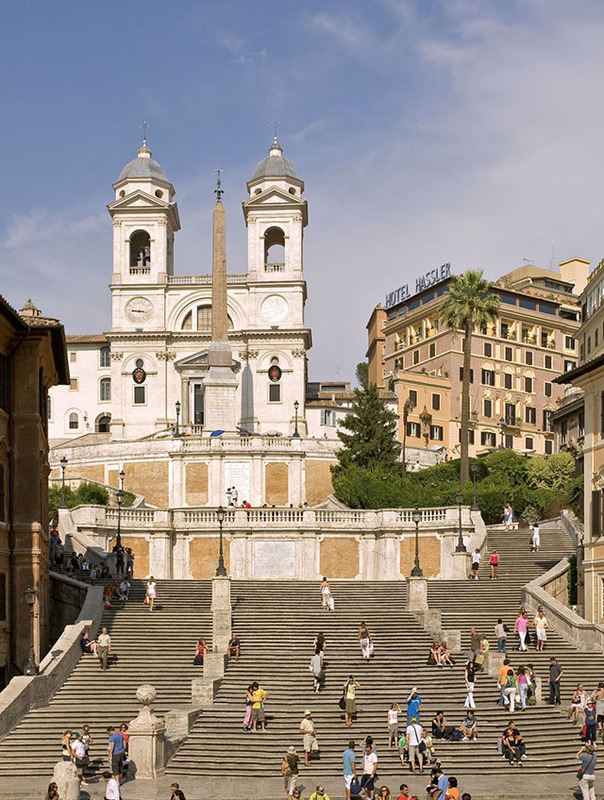 At the top of the Spanish Steps, Rome's five-star Hotel Hassler has been a temporary home in the Eternal City for a slew of royals, including Prince Charles and Princess Diana, King Gustaf of Sweden, Prince Felix de Luxembourg, Crown Prince Frederik of Denmark, King Carlos of Spain, the Queen of Romania, and Queen Noor of Jordan. 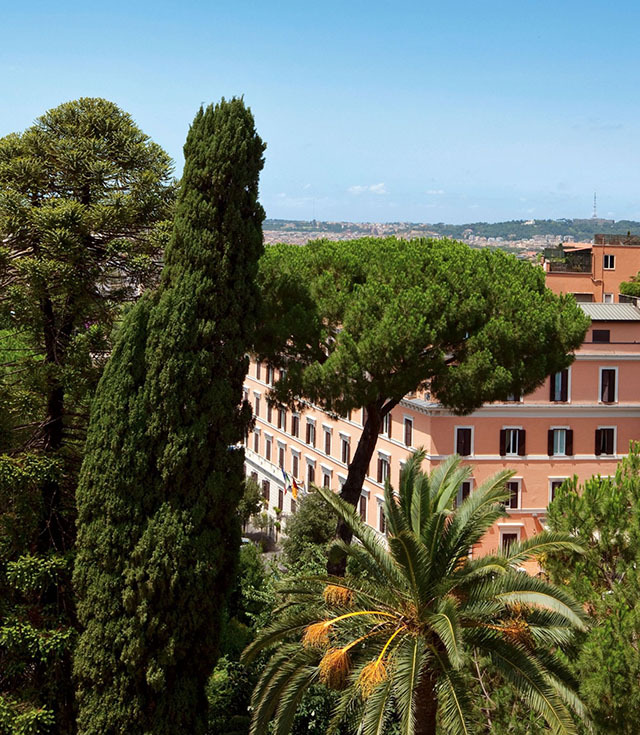 The hotel, which features gorgeous views of Rome and a Michelin-starred restaurant, is also where Prince Rainier of Monaco and Grace Kelly honeymooned. 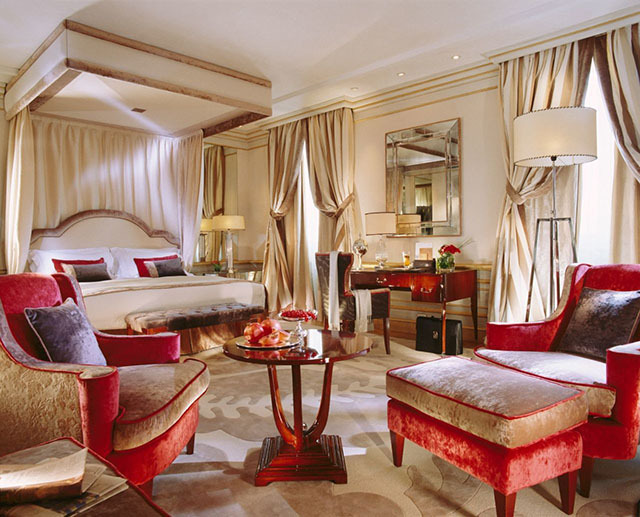 Since 1927, Milan's most fashionable have been checking into the elegant Hotel Principe di Savoia. Titled guests have included Prince Albert of Monaco, the Viscount di Modrone, the Aga Khan, and Duke and Duchess of Windsor. Located on Piazza del Repubblica, the hotel's very name evokes royalty: its translation is Prince of Savoy, referring to Italy's royal house. The hotel's incredible 5,400-square-foot Presidential Suite is indeed fit for a prince; in addition to three bedrooms, it features its own private pool, Jacuzzi, sauna, and Turkish bath. Located steps from the lush gardens of Rome's Villa Borghese, Hotel Eden has been enchanting royalty since opening in 1889. Royal guests have included King Alfonso XIII of Spain, Queen Amelia of Portugal, Grand Duchess Olga of Russia, Princess Teresa of Bavaria, Prince Paolo of Serbia, and Umberto of Savoy. 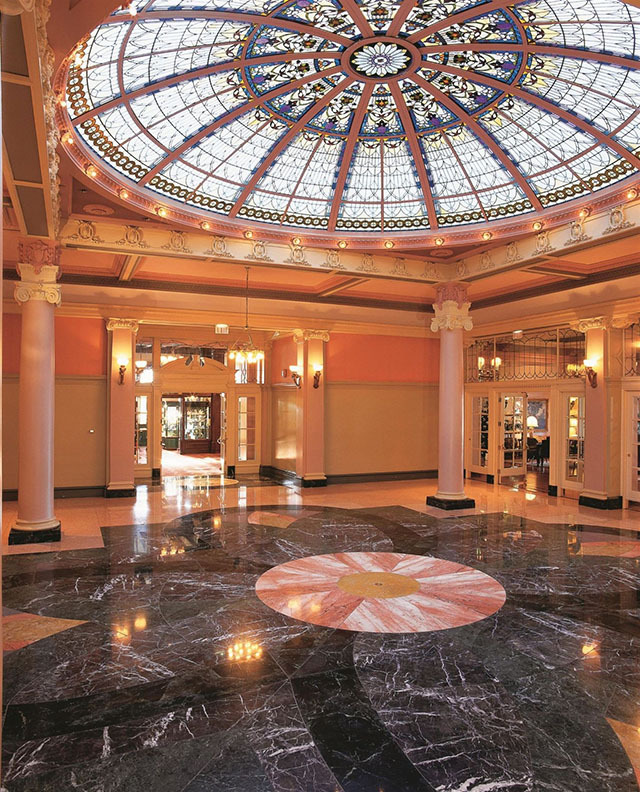 Following a massive renovation, the hotel reopens this April with 98 rooms and suites, a hidden library bar, and rooftop restaurant La Terrazza, with sweeping city views including St. Peter's Dome. Perched on the shores of Ireland's Lough Corrib, five-star Ashford Castle is spread over 350 sprawling emerald green acres. 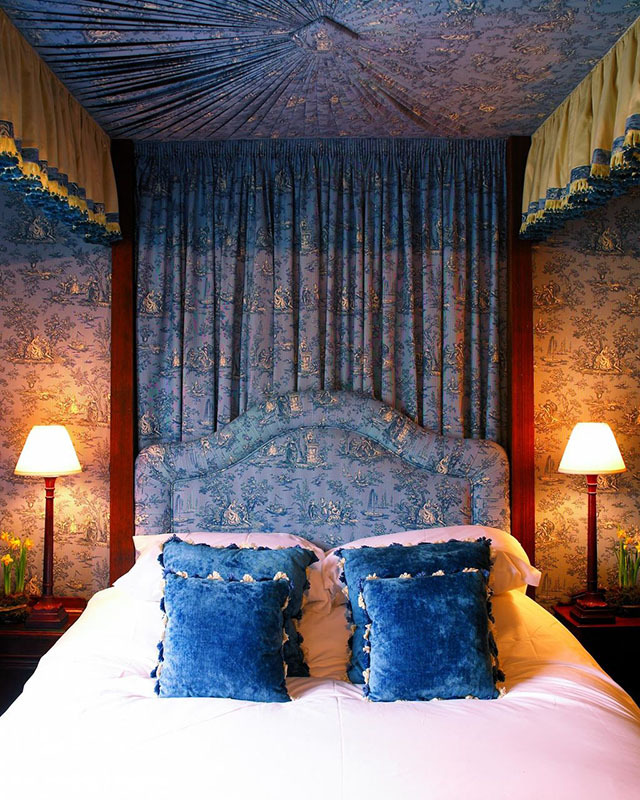 Dating back to 1228 and now part of the Red Carnation Hotel Collection, the castle has welcomed a host of royal guests over the years, including George V, Princess Grace and Prince Rainier of Monaco, the Duke of Duchess of Luxembourg, and Prince Edward, the Earl of Wessex. The hotel is extremely pet-friendly- including doggie kits, grooming, and sitting services for those royal corgis—and also boasts an award-winning, state-of-the-art spa. 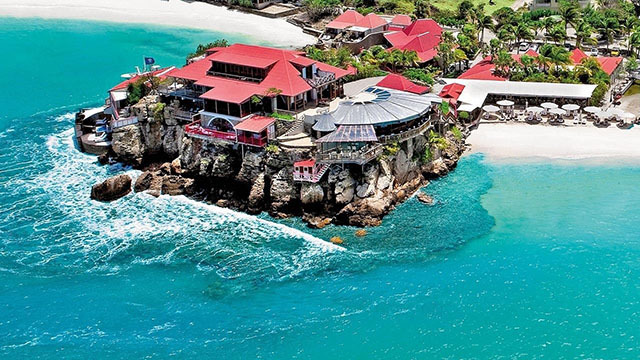 Eden Rock St. Barths Located in St. Bart's, glitzy boutique hotel Eden Rock has long been a repeat stay for icons like Howard Hughes and Greta Garbo, both of whom have suites named after them. 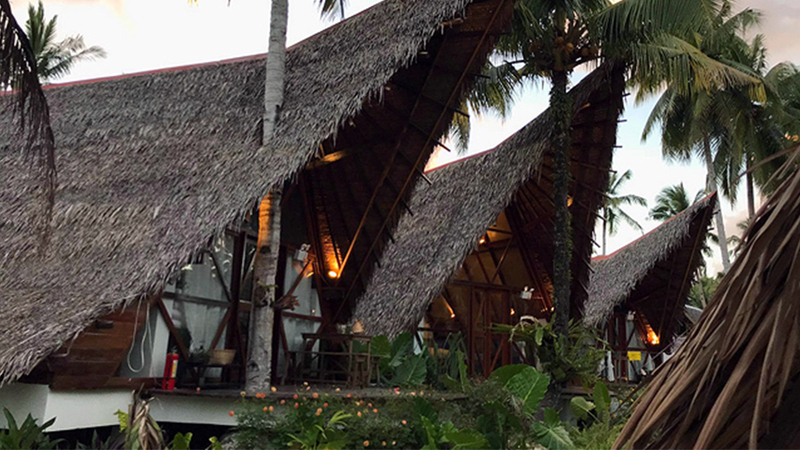 After the hotel was bought by the Matthews family, however, it cemented its status as a royal favorite: eldest son James Matthews is engaged to Pippa Middleton, meaning Prince William and Duchess Kate—as well as Carole Middleton and James Middleton—have started regularly holidaying here. The hotel features a restaurant helmed by three-Michelin-starred chef Jean-Georges, as well as a suite beloved by musicians: the Villa Rockstar, which includes private beach access, a Glen Affric whiskey bar with 40 options, and the 8088 Neve console that John Lennon used to record "Imagine."